Now, solve even the toughest draft problems in class-A installation by using our Enervex Fan paired with this handy adaptor. Adaptors are also available for 8" and 10" solid-pack chimneys. This Exhausto Fan Adaptor is made of premium stainless steel. Installation is easy - just connect the adaptor and the base of the fan at each corner of the square plate. 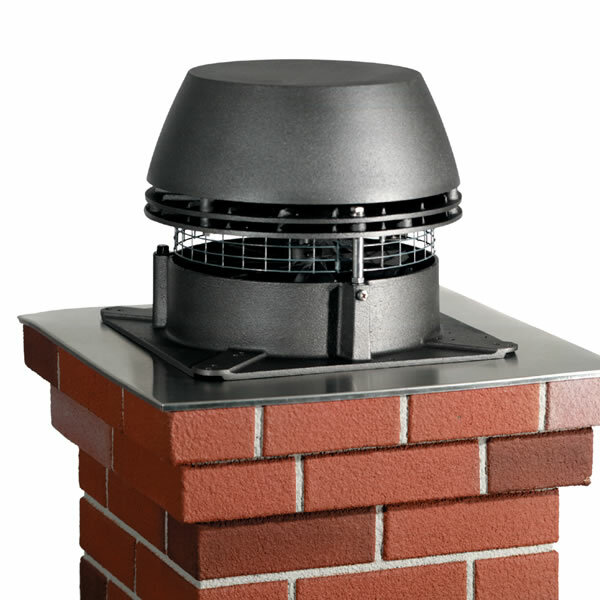 The round part of the adaptor will fit down into the chimney, and the weight of the fan will hold it in place.